Tomorrow (22 July 2018) is both the Eighth Sunday after Trinity and the Feast of Saint Mary Magdalene. The role of Saint Mary Magdalene as the Apostle to the Apostle rarely provides an opportunity for celebration, and so her commemoration has provided much inspiration for my preparation during the week for tomorrow’s sermons and services, which include Morning Prayer, Castletown Church, Co Limerick, at 9.30 and the Parish Eucharist in Holy Trinity Church, Rathkeale, Co Limerick, at 11.30. 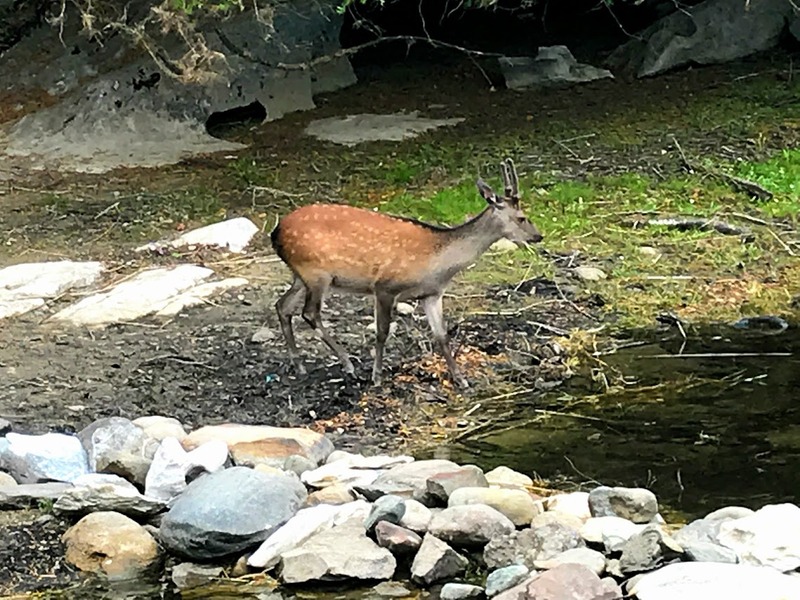 Among the hymns I have chosen is ‘As the deer pants for the water’ (Church Hymnal, 606). 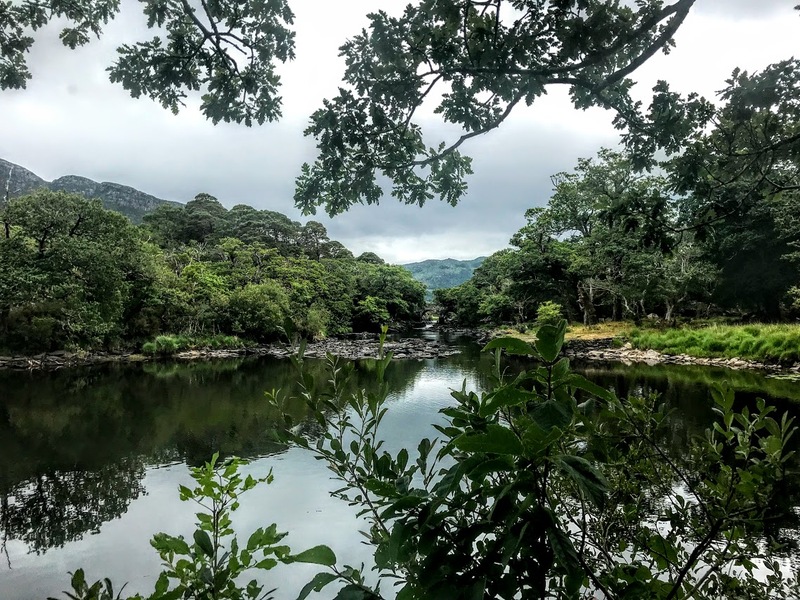 But little did I expect that this hymn was going to come to mind in a very delightful and surprising way for six of us yesterday as we visited the Lakes of Killarney. We had stopped at Muckross House and were waiting for a small boat to take us across the Middle Lake. As we stood at the boathouse, a young deer came out of the trees, looked around, and despite our presence calmly made his way down to the water’s edge at the shore. Muckross Lake is also known as the Middle Lake or Torc Lake, and is just south of Lough Leane. The two lakes are separated by a small peninsula, crossed by a stone arched bridge called Brickeen Bridge. This is Ireland’s deepest lake, reaching to 75 metres (246 ft) in parts. But the recent dry weather has lowered water levels and provided spectacular scenery as we crossed the lake in the afternoon. We stopped briefly at the tea rooms at Dinis Cottage and enjoyed the scenery at the Meeting of the waters, where the three lakes of Killarney – the Upper Lake, the Middle Lake or Muckross Lake, and the Lower Lake (Lough Leane) – all come together. This spot is a little haven of tranquility that can only be reached by foot or bicycle, and we stayed a little while at the Old Weir Bridge and Dinis Cottage before returning to Muckross House.